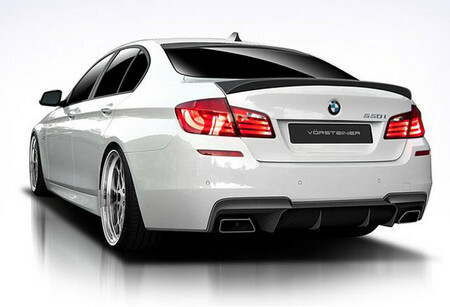 Lately we’ve been seeing lots of similar kits for the 2011 BMW 5 Series from different tuners. And here’s another one! This is one of the better ones by the renowned BMW tuner Vorsteiner and includes M5-look body kit that really improves the understated style of the 5er. It gets carbon fiber front add-on spoiler, new rear bumper with a diffuser and two new tailpipes that fit perfectly on each side of the diffuser and carbon fiber boot lid and roof wings. The new set of white multi-spoke wheels also suit this car rather well. This is just a preview. The actual car is yet to be revealed. The Fastest Amphibious Car in the World? © 2012 TunedAutos. All Right Reserved.